Office Makeup, Weekend Makeup, Party Makeup: How Much Do You Mix It Up? – Party face: Fairly similar to Big Day office makeup, but I use a darker gray eyeshadow palette (2 colors) and will go brighter with the lipstick. I have VERY little patience for fussing around with makeup, so the thought of highlighting, contouring, and other YouTube-instruction-required activities are a nonstarter with me. I don’t wear makeup if I’m not leaving the house but i always have something on my lips because they are addicted to moisture. For work I do the above plus liquid liner (stila in moss), eyebrow pencil (Sephora brand), undereye stuff (tr1sh) and blush/highlighter (tarte). I wear a rose colored sheer lipstick too. For going out at night I dip a narrow brush in a dark deeply pigmented eyeshadow (tr1sh) and run it over my liner line, and bring the dregs around under my lower lash line. I would probably also play up my lips or do a shimmery eyeshadow on the ball of my eyelid and a slightly darker color in the crease, depending on how fancy I want to get. But I like makeup and find all of this fun. I don’t think it’s an absolute necessity, other than the sunscreen aspect. Every once in a while I feel like I want to start wearing more makeup just for fun, but then I never bother. 95% of the time (work at home or work at office, weekend, date night etc) I’m just in chapstick and eyebrow pencil. If I’m having a break out I’ll do concealer over any spots. For big work or social events, I’ll add mascara and subtle eye shadow, and maybe lip gloss. I really love the idea of make up and have fun playing with it. Maybe I’ll whip out my Naked eye shadow palette and come up with something more interesting morning. For the last 5 months, I have stopped using makeup WHATESOEVER b/c I was told I look like an Ivory Girl (whatever that is), and that it is “becoming of me”, so I save 10 minutes every morning NOT putting on anything other then to wash off the NIVEA cream I put on at night. Even my ex told me years ago NOT to wear makeup. Then I did NOT listen b/c I thought he wanted me to look plain and not attract men. But Now I have learned that less is more and none is best! Dad even likes me w/o make up. Mom does not wear makeup either. Rosa still uses eyeliner and blush b/c she wants to keep Ed honest. I think we all must do what is best for us to look good and keep attracting men. YAY!!!! Big going out makeup tends to look bad if you go back to your BF’s and spend the night (either it gets all over your pillow or cakes into your face lines or you somehow have to craft a whole routine out of . . . whatever you find in a guy’s apartment that you are just beginning to frequent). Early on I realized that guys aren’t that particular about your makeup and that there is no good walk home look involving last night’s makeup. So, I like a strong brow with the anastasia stuff that stays put and lip products that wear off. Maybe a dusting of bare minerals. Anything else is if for when I know I’m returning to my place. Weekends are makeup-free other than SPF moisturizer unless I have an event. It just makes my skin feel better to have some time off each week. Other than that, I have a few levels of makeup for work, usually dependent on how my face looks and how much of a rush I’m in. 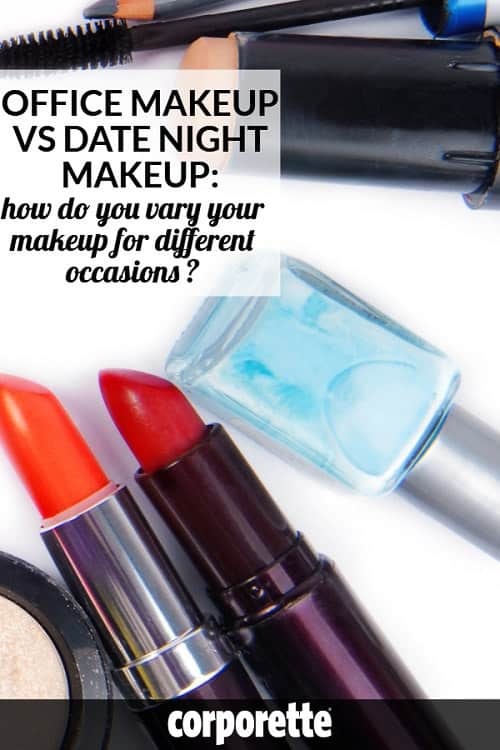 The top level of makeup is reserved for going out or a special event. I think of it as the full enchilada. Special event: concealer, foundation, light contour, blush, liquid eyeliner, heavy mascara, brow powder, tinted chapstick (never been a big lipstick person, this is as close as I come), and 5-ish colors of eyeshadow to do my best approximation of a smokey eye. I picked up an ELF palette a while back that has a really pretty collection of purpley sparkly colors and a guide telling me where to put the different colors so I just use that. I’d rather spend on my daily makeup than invest a lot in eyeshadow that I only use a few times a year and I think it looks pretty good. No make-up. Makes life really easy. Same. No judgment towards those that do wear it, but I do wish there was more acceptance of make up free faces. I hate that in some work environment, make is considering a necessary part of grooming, rather than an optional add-on. I’ve actually been told by a female manager that I should consider wearing makeup and/or tweezing my eyebrows to look more professional and work appropriate. Ugh. I have good personal hygiene, but I choose not to have pencil thin eyebrows and and gunk on my face. Respect my choice and and I’ll respect yours. Gah so many typos! This is what I get for trying to post from my phone. Not a troll, just a someone who prefers no make up and doesn’t appreciate the reactions I get for my choice. Thick eyebrows are in right now. Pencil thin eyebrows are a sign you came of age in the 1990s and can’t grow them back. Ugh, the eyebrow thing bothers me more than anything. It should be that professional eyebrows are the kind that grow on your face. End of story. Usually this. I spend a part of most days wearing safety glasses at work, and they tend to fog up in warm weather or rain, so makeup is a lost cause for me. That said, I spend a lot of time/effort/cash on skin care instead. Agreed. I do some make up for work (eyeliner, 1 shade eyeshadow, mascara, blush), but resent it a little. I do not do weekend makeup during day. I’m 42, so I do feel the pressure to make an effort to look like I care. If I’m not leaving the house, I don’t put on anything. If I’m going out with the kids, I wear sunscreen (in my moisturizer) and a Fresh tinted lip balm with SPF. Or the Kiehl’s butter stick with SPF (no tint). For work: brow powder (Anastasia) and [red lip or other bright lip and mascara] OR [eyeshadow and liner and mascara and more neutral (berry or beige) lip], plus probably some concealer. For going out: one of the above work looks plus some extra eyeliner. I wear undereye concealer, light coverage foundation, blush, mascara pretty much every day. For party/night time I am 100% team bold lip. I love this true red from Clinique of all places – it’s a moisturizing formula so looks a little less intense than the mattes. I’d love to work a neutral eye shadow into the daily routine, but haven’t found one for my oily and crepe-y (how is this combo even possible?!) eyelids. I’d welcome suggestions. Replace “one swipe of mascara” with a swipe of lipstick, and that’s basically my routine. Daily office makeup “uniform” (sounds like a lot but it takes 5 minutes): SPF, it cosmetics CC cream, Benefit concealer under eyes and on red areas, curl lashes, tinted brow gel, whatever mascara I’m into at the moment (currently it’s Loreal volumnious waterproof for extra humid days, but I’m slowly working my way thru the sampler I got at Sephora last Christmas), blush to make me look human (currently tarte amazonian clay), and maybe a swipe of translucent powder if I’m looking shiny. hit the lips with tinted chapstick. Party/photo ready face: I hoard sample sizes so I have waaay more options in this department than a human needs. Add primer, lumnizer/contouring of whatever sort, eyeshadow(s), lipstick, perfume. If I’m not leaving the house I’m lucky if I even wash my face in the AM. If I wash my face, I put on a sunscreen/lotion combo. If I might run into someone I know at Target, I’ll consider mascara and undereye concealer. Makeup isn’t a necessity, but I’m on a skincare kick right now in pregnancy and enjoying making it a priority while I still can! Weekends running around with kids makeup: Tinted moisturizer, powder, mascara and lip balm at a minimum. Blush if I need it. I have very low-contrast coloring, and I feel a million times better if I’m wearing just a bit of something. Work/church makeup: Foundation, blush, eyeshadow primer (essential), one shade of eyeshadow, mascara, some kind of lip color. Eyeliner if I’m feeling fancy. I really enjoy putting on eyeshadow; it feels like painting. Big night out makeup: Usually my work makeup, but with bolder eyes or lips. Sometimes I’ll do my brows. I’ve tried brow gel and it definitely looks more polished, but I can’t seem to commit to wearing it every day. I don’t love how it feels, so I skip it most of the time. My everyday is moisturizer, concealer under eyes and on eyelids/up to brow, foundation, light contour (stick), highlighter stick, loose powder, blush, 4-5 shades of eyeshadow, eyeliner, mascara, lipstick. For a night out, I add falsies and do a bolder eye. I guess I wear a lot of makeup. I don’t touch my brows though – afraid of looking odd. My skin is scarred/hyperpigmentation so that when I don’t wear some complexion enhanement it looks like I have a rash all over my face. And even if others don’t care, I do and it makes me feel self conscious. So my daily bare minimum (after my layers of skin care and sunscreen): primer, cushion foudnation or bb cream, dusting of setting powder, blush. then eyebrow pencil and mascara (top lashes only). Sounds like a bunch of steps, but takes about 5 minutes max. Medium look, several times a week I add either a single shadow in some low-key natural color or brown pencil eyeliner (tightlined upper lid, just to make lashes appear thicker). I top off with a lip color or gloss. Summer I might add bronzer. Fancy look is the basic stuff, but a medium- full coverage foundation and maybe two eyeshadow colors, or more obvious eyeliner application. Extra coats of mascara, and apply on bottom and top lashes. If I go for a bold lip I do neutral eyes, bold eyes go with neutral lip. I love makeup, clothing and perfume, so this is all fun for me, and doesn’t take long. I do not go near highlighting, since my skin is already naturally glowy (read: oily) and contouring is a pain and not for me. I spend very little time on my hair, and about the same amount than makeup if not more on my skincare. 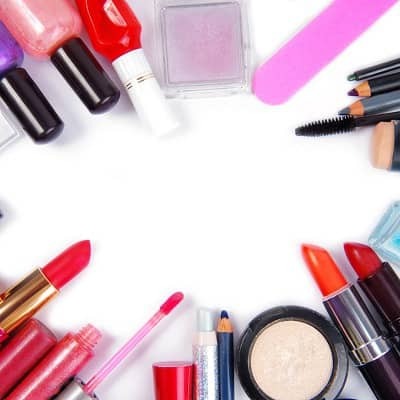 For work: sunscreen, foundation, concealer if needed, blush, eye shadow (generally 1-2 colors, maybe 3), eyeliner, mascara, lip balm or gloss depending on the eye makeup. I have some standard combinations, but I have a lot of makeup, so I like to play too. Important work events: all of the above, but only the most trusted and tested makeup gets used. I don’t buy new makeup for events because you never know what can happen. This is going to sound silly, but my inspiration is always Disney princess for events: rosy cheeks, rosy or berry color lips, big doe eyes with neutral colors and long lashes. I’m exceedingly pale, so this look for me is appropriate and goes with any professional outfit. Going out: the same as work, but may go bolder or darker with colors depending on the event. Weekends: whatever I feel like doing. Sometimes bare face and sometimes play with crazy makeup looks because I can. Makeup is one of my hobbies, so it is a relaxing and creative outlet for me. I almost never wear makeup. I own makeup and I will put it on a few times a year on a whim, but unless I am going to be appearing in a theatrical production where the men will also be wearing makeup, I just don’t. On a rare whim I will put on some rose colored blusher and maybe some pink or rose lipstick, and I do own eye makeup but I tend not to put any on. Once or twice a year I might also paint my nails (purple or orange, usually). To my way of thinking, makeup is a waste of time and effort and money. Wear it if you want, but I don’t feel the need or the desire. For work: concealer, BB cream with SPF, tinted brow gel, matte beige eye shadow, thin liner, mascara, swipe of blush, lip primer, liner, lipstick. Ever since I became a mom I emphasize eyes much less and go for a bright lip in hopes of drawing attention away from how tired I often am. For events, I add a bit of bronzer to pump up my cheek bones, maybe add some more eye shadow, but still in the beige/brown family usually. My mom is rather diaappointed I turned out to be one of those women who doesn’t leave the house without putting on makeup. Weekends if I’m not leaving home: bare face/sunscreen if I’m doing yard work or playing with the dog. Bare minimum out of the house: BB cream, concealer, eyebrow pencil, mascara. Work: BB cream, concealer, setting powder (I’m oily) eyebrow pencil, eyeliner, a shade or two of eyeshadow, mascara, lip tint. Blush occasionally in the winter, if I’m tired, or after someone asks if I’m feeling tired. Going out on weekends— concealer, B.B. cream or foundation, eyeshadow crayon in Gold tone over edge of lid, coppery shadow over lid on top of gold crayon to tone down, darker brown in crease, blend, mascara, lipstick, usually a corral red, or mauve pink. I pretty much wear the same to work. My eye makeup stays put for the day, but lipstick wears off, and B.B. cream covers melasma and freckles, so looks like I’m just wearing eye makeup by the end of a given day. Going out special events— very similar to every day, but I take more time, and wear more layers, as well as experiment with more tones and line it more. I love red lipsticks. Most of my work colleagues wear little or no makeup, but I love lipstick the most, and rock it most days, though I don’t always reapply. I’ve been complimented by colleagues that I can “ pull off makeup” so I hope that means it looks good, but I like it, and I enjoy wearing it, most of all, I love the ritual of playing with makeup. Wow, a lot less than I thought! I guess I do wear “a lot of makeup”! At home: Just moisturizer, maybe a tinted lip balm. Errands, but not expecting to see anyone I know: A BB cream or tinted primer like Benefit the Porefessional primer or Porefessional makeup or Beauty Counter Dew Skin, brow pencil, Benetint on cheeks, probably mascara. Work: Primer, concealer, under eye concealer, foundation (BeautyCounter TintSkin or IT Cosmetics CC Cream), cream blusher, cream bronzer to contour, cream highlighter, gold eyeshadow, eyeliner, brow pencil, eyeliner, powder, mascara. If it’s an important day, I’ll add a lighter lipstick and maybe an additional layer of brown eyeshadow and spray on setting spray. It really only takes me about 7 minutes though! Going out: All of the above, but attempts at a smokey eye and also for sure lipstick. I’ve started getting an “Eyelash lift” with a perm and dye of the eyelashes. That means mostly no mascara, which is great!